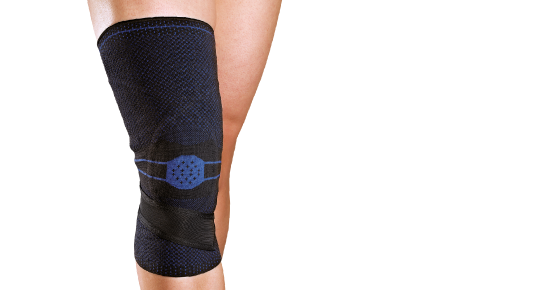 Cooper Knee Alignment Sleeve – Thermoskin – Supports and braces for injury and pain management. 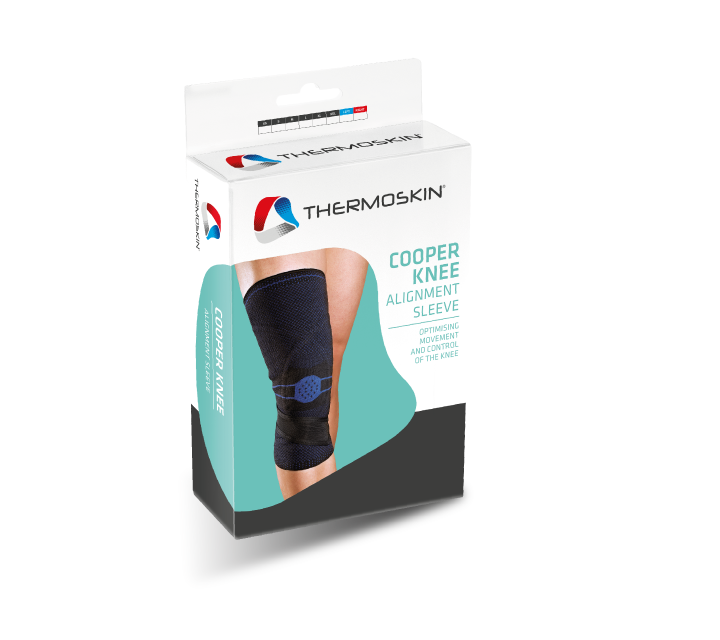 The Cooper Knee Alignment Sleeve by Thermoskin has been designed to enhance knee alignment, proprioception and muscle control whilst performing sport and exercise. Anti-valgus strap to assist with knee alignment. Figure 8 patella sling for enhanced kneecap tracking. Silicone dots to boost activation of the inner quads and hamstrings. Compression for increased movement awareness. 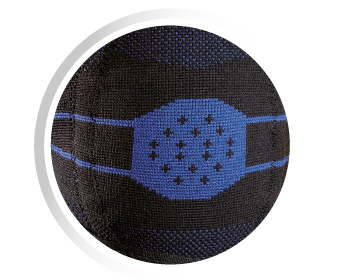 Hold the Knee Sleeve with the inner silicone dots positioned on the inside. Slip it over your foot and slide it up over your knee until the blue circle is directly over the centre of your knee cap. 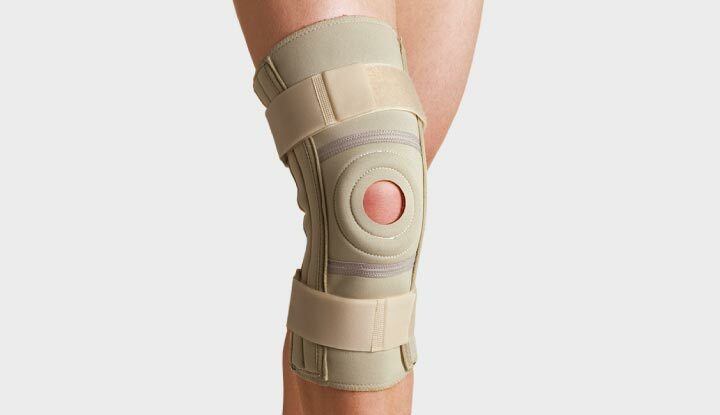 Then, grip the anti valgus strap, and positioning it just under your knee cap, pull it firmly outwards across your knee, wrap it around the back of the sleeve and secure the Velcro in place. Do not over tighten the strap. Then, bend your knee or perform a few squats, to ensure your Knee Sleeve fits comfortably re-adjusting it to the correct position before activity. 45% Spandex, 35% Nylon, 10% Silicone, 5% Rubber, 5% Neoprene. Measure the circumference around your leg just below the knee cap. Anatomically designed with internal metal stays and a combination of fastener locking straps provide knee stability, which is particularly effective for pain secondary to degenerative disease and medial and lateral instability.